Here’s a book on how to live life packed with adventures, told in stories. OFF BELAY: A LAST GREAT ADVENTURE, a memoir, celebrates Jamie Shumway’s adventurous spirit, from early treks over the backyard’s fence, through hiking in great national parks, rock climbing, mountaineering, white water boating, professional advancement, and world travel. Although Jamie faced a difficult disease, ALS or Lou Gehrig’s disease, his memoir sets out a blueprint for taking advantage of all that life has to offer. He comes to the writing of this memoir as a last great adventure, and an unflinching look back over decades of living life to the fullest. In college, Jamie found an immediate connection to the outdoors during a freshman trip to Yosemite National Park, igniting a lifelong passion for outdoor activities. 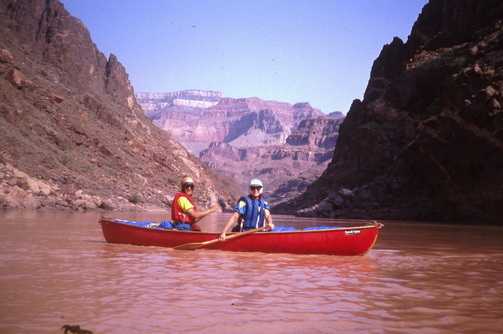 He became an accomplished skier, rock climber and mountaineer, as well as a white water boater, and even embarked on a tandem canoe trip with his wife, Betsy, on the Colorado River through the Grand Canyon. Jamie’s love of the outdoors made him a passionate advocate for rivers and other natural places, and ultimately led to leadership positions such as being appointed to the Gauley River National Recreation Area Advisory Committee by the US Secretary of the Interior. Jamie was also a founding member of the West Virginia Rivers Coalition, and helped to establish a solid base for the new independent Sierra Club chapter in West Virginia, the state where he nurtured his professional career as Associate Dean for Medical Education at West Virginia University’s School of Medicine. His professional role led him on international travel to countries as diverse as Saudi Arabia, Scotland, Nepal, Oman, and Switzerland, among others. Both his outdoor and his professional pursuits were guided by his work and leadership in group settings, a pattern he repeated often to achieve important goals. His belief system and unique analogies to rivers and natural spaces, threaded throughout his adventures and through dealing with ALS, serve as a guideline for how to trump adversity and to persevere.